Heard of the “Matrix” movie? Let’s create something similar on your system! Copy the below mentioned code onto your Notepad and save it as “.bat” file. Now you just need to open this file and watch your system shower random green digits strings all over the screen. 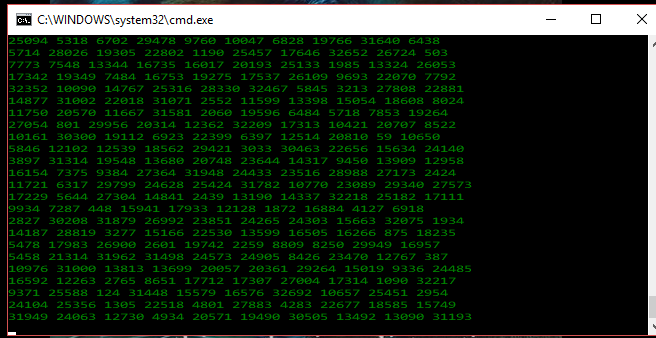 You’ll experience your routine command prompt just got the Matrix movie effect in it. Yet another quirky notepad trick is here. Instead of downloading bug full software to convert written text to audio, just use this cool notepad trick. With this amazing trick your system is going to speak your language, whatever you type in it is going to utter it out. Simply grab the code below and save it as a “.vbs” file via your notepad. Now after you open this file you’ll get a pop-up that has a small writing area. Type anything there and enjoy. Some extensions are just marvelous for computer tricks and hacks. So, here is another awesome “.vbs” file trick. Just try and use the following code in your notepad and save it as a .vbs file. Quickly open this file and enjoy watching your keyboard’s LED lights dance continuously. Okay, so now let’s get to some more useful notepad hacks. If your hard drive is spoilt and you can’t access it directly for formatting, try using this notepad trick. Copy the below code which is actually sort of command to enable your hard drive to format itself. Hence save this code as .exe file. Open notepad and paste @echo off. Sit back and witness the craziness. Want to verify if your anti-virus is working fine? This trick was originated from the Computer Antivirus Research (EICAR) institute in Europe for your help. If your anti-virus is working fine, an alert will be on your screen and quarantine this notepad file by considering it as malware. With your error message amd error window, replace Message Here and Title Here. By clicking the file, you’ll get the error message set by you. For this trick, just paste the below script in notepad and save it as bat. Double clicking this file will give you a private folder. Save the following code as nomouse.bat and your mouse is out of the league. Have fun playing tricks with Notepad!! !